One of the things that I love most about St Croix are the wide open spaces and plenty of places to discover. I’ve lived here now almost 16 years and I’m still finding new adventures. You don’t have to spend much, if any, money to explore St Croix’s beaches, green rolling hills, food and culture. Recently, my Mom and sister came down to visit for four days and we filled them with plenty of activity. My sister is a teacher and planning a wedding this year, so she’s mindful right now of what she spends. 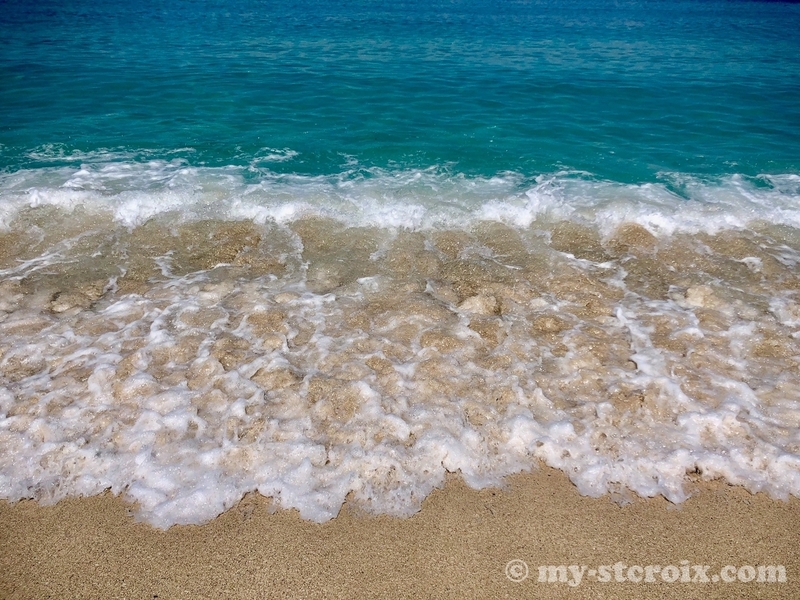 I thought I’d share with you some of my tips on exploring St Croix without breaking the bank. Bonus: All are family-friendly activities that are great for active kids, teens and folks of all ages. Flip flops or sandals and a pair of sneakers or Tevas you can hike in. Wear your sneakers on the plane to save room in your carry-on. Snorkel Gear if you have it. You can buy an inexpensive snorkel gear set online in advance of your trip. Pack your flippers in the bottom of your carry on to save room. If you don’t think you’ll use it much, rent gear when you get here from one of the friendly scuba shops in Christiansted or Frederiksted for about $25/day. I love E-bags Packing Cubes for packing my carry-on. They are one of the best travel investments I’ve made and the same set has lasted me over 15 years and has traveled around the globe! Rashguard – A UV filtering shirt that you can wear in the water will save your back and shoulders from burning while snorkeling, kayaking and swimming. I never leave home without one! Mind the 3-1-1 Rule. When packing only carry-on, you’ll need to be sparing with your liquids. You get One, 1-quart clear bag filled with liquids up to 3 ounces each. So, purchase sunscreen when you get here. The local scuba shops and snorkel charters all stock up on Coral Reef Safe Sunscreen so that you can help us to protect our delicate coral reef ecosystems. Save on accommodations. If you are traveling with a group, consider a vacation villa or one of the local eco-camps. Once you break down the per room/per night rate, you can compare it to a hotel room rate (Take the cost of the weekly villa rental rate, divide by 7 and then divide by the number of bedrooms). You’ll find that many break down to be quite reasonable. Add to that a private pool and the ability to make breakfast and a couple dinners at home and you’ll see a great savings. Couples should check out the local Airbnb listings for guest houses and smaller accommodations. Or consider staying at one of the hotels in downtown Christiansted rather than on the beach. You’ll be in walking distance of dining, shopping and all the action. Plus, the boardwalk is where you meet many of the deep sea fishing and Buck Island charters. Go to our St Croix Vacation Deals to find out the latest discounts! Important Tip: Don’t wait until the last minute to book your rental car, they often sell out. Larger companies like Hertz, Avis & Budget offer discounts and mileage perks to travelers, so be sure to add your airline frequent flier number to your reservation and check your airline and credit card company for deals or visit our St Croix Rental Cars page for available discounts. Once you arrive on the island, you’ll want to stop at one of the local markets or grocery stores to stock up on provisions for your stay. Grab staples for breakfast, some dinners and snacks. Grab lunches while you’re out exploring – lunch tends to be a bit cheaper than dinner if you are really trying to save. For produce, be sure to check out the local roadside and farm stands. St Croix was once known as the “bread basket” of the Caribbean and has recently enjoyed an agricultural renaissance with many organic farms. On Saturday mornings, the Farmers Market in La Reine next to Chicken Shack is a great place to pick up local fruits and vegetables, honey, sauces, eggs, meats and more. Another great option is to pre-order from VI Locally Grown managed by Ridge to Reef Farm. You place your order online and then pick up on Wednesdays out West in Frederiksted at the Lawaetz Museum grounds or Saturdays in downtown Christiansted at the Market stand on Company Street. This is open to locals and visitors alike. 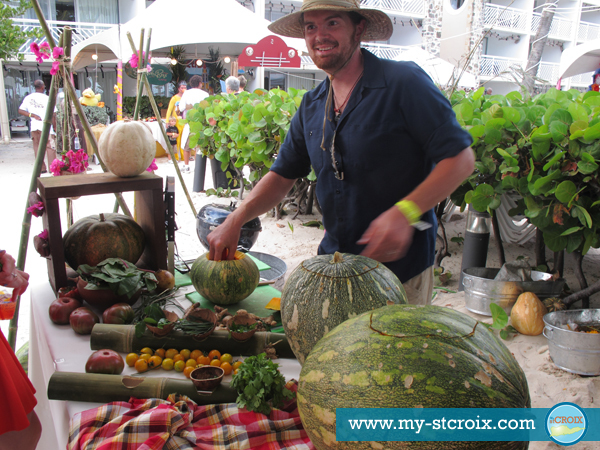 Support our St Croix farmers by shopping and eating local – you won’t be disappointed!! Hit up the food trucks and roadside BBQs. St Croix has grown a great reputation in the culinary world. I always say, it’s hard to get a bad meal here. If you want to eat like a local, check out the food trucks and vendors you see dotting the island. They are often less pricey than a sit down meal, but still delicious. Be adventurous and try some West Indian fare like rotis and pates. Don’t be afraid to ask the attendant or folks in line “what’s good?” … we love to share our personal recommendations and won’t steer you wrong. Hint: If you see a crowd, there’s a safe bet it’s really good. With all the great dining options on island, Crucians have discriminating palates! Now, don’t get me wrong, I highly recommend our local restaurants, too!! Take a look through our online St Croix Restaurant Guide and choose a few to try while you are here. There is truly something for everyone on St Croix. When you travel on a budget, a few splurges taste even better. Another thing I love about living in the US Virgin Islands is that all of our beaches are public. That means that you are welcome to enjoy the beaches island wide on St Croix, even at local resorts and hotels. All resorts and hotels located beachfront are required by law to allow public access. This may mean that you park at the entrance and walk a bit but, most will welcome you with open arms and allow you to enjoy a bit of the experience. So don’t be shy! These beaches are often well maintained and have facilities like bathrooms and bars. Some will charge a small fee for the use of their beach chairs … or you can choose to bring a blanket or towel and sit on the sand. This is a great way to enjoy a little bit of resort life without the bill. Check out our list of Beach Bars for places to enjoy the beach and grab a cocktail with lunch at the same time. 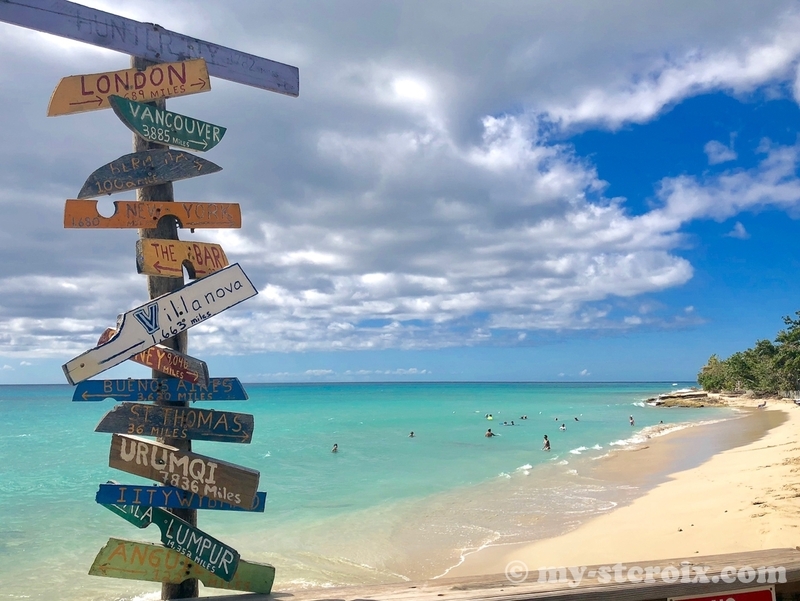 If you’re on St Croix from September 1st through May 1st, don’t miss Sandy Point National Wildlife Refuge beach in Frederiksted. This gorgeous stretch of powdery white sand is the stuff dreams are made of. And completely free of charge. Only open on Saturdays and Sundays from 10am to 4pm and on cruise ship days, the beach is truly pristine. The beach and wildlife preserve includes a salt marsh that is the winter home for many local and migrating birds and a nursery for fish. But, the main attraction are the Leatherback Sea Turtles. The soft sandy beach is one small stretch of the island that doesn’t have fringing coral reef and sits just off the deep water Puerto Rican trench. Each summer, these beautiful giant mommas come back to the beach of their birth to nest and lay eggs at night. Sandy Point has the largest nesting population of Leatherbacks in all of the US and its territories. Scientists have been databasing and studying the population for almost 30 years working to save the endangered species by protecting this critical nesting habitat. Endangered hawksbill sea turtles and threatened green sea turtles also nest along these shores in fewer numbers. (hawksbills are studied out at Buck Island National Reef by NPS and greens are studied out at Jack & Isaacs by the Nature Conservancy). When you visit, remember to carry out whatever you carried in. There are no facilities and there’s no shade on the beach. So don’t forget your reef safe sunscreen, a hat and your rash guard. Beach umbrellas that dig into the sand are prohibited as they could harm a nest under the sand. Fun Fact: Sandy Point was the actual filming location of the final scene in the Shawshank Redemption … that’s Morgan Freeman on the beach at Sandy Point, not Mexico 😉 Several of the driving scenes with Tim Robbins were also filmed on St Croix. 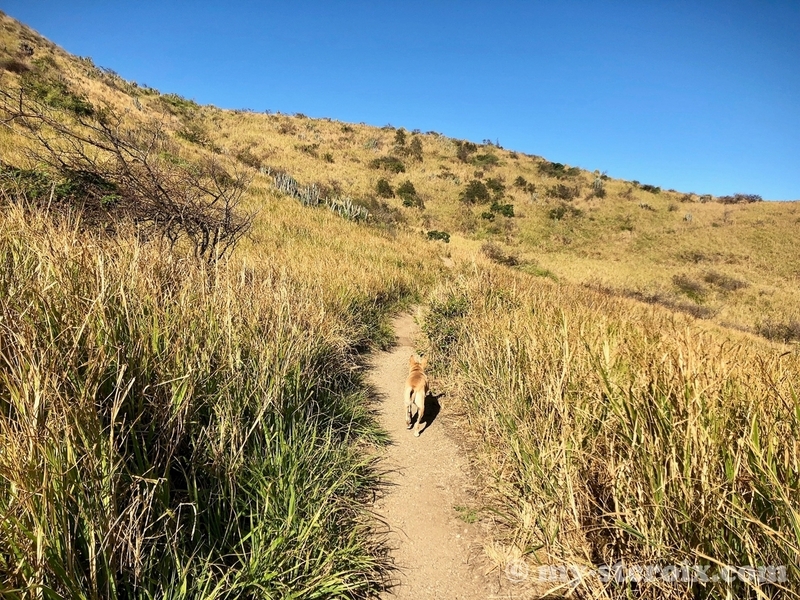 St Croix is an active, outdoor island and so there are several popular places to hike (though when I say popular, you still won’t see a lot of people). You can find information and directions to several hiking spots on the St Croix Hiking Association website. They have group hikes available to visitors most months at just $10 for non-members, check their calendar for dates. If you prefer a guided hike to learn even more about the island, check out the options at Chant VI (Crucian Heritage and Nature Tours). You’ll also find information on their Christiansted and Frederiksted walking tours as well. 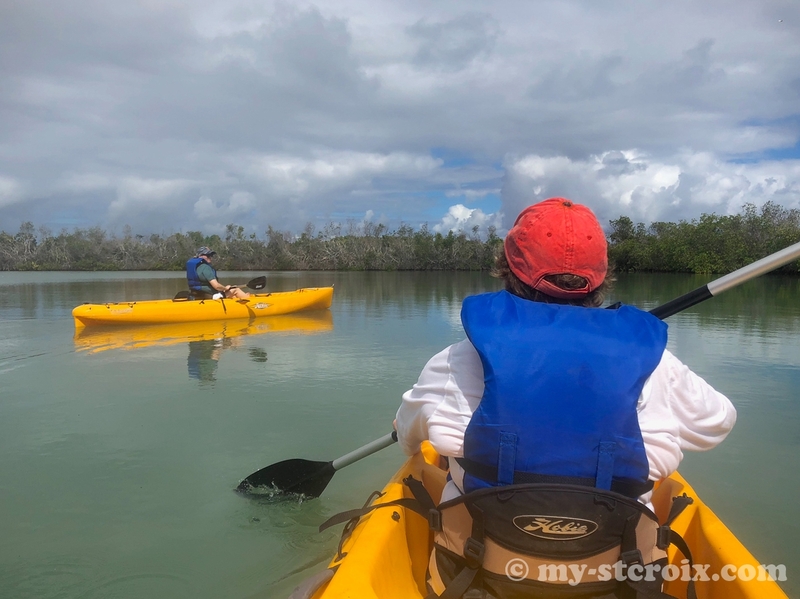 Guided by knowledgeable St Croix residents, you’ll learn about the history and ecology of our beautiful island while experiencing a part of the island you may otherwise not see. Everyone loves the Hike to Jack & Isaac’s Bay, especially my rescue dog Lola! Disclaimer: Yeah- unfortunately we have to say it. All activity content is for informational purposes only. My-StCroix.com assumes ABSOLUTELY NO responsibility, including but not limited to injury or loss of any kind/form due to the use of information, or participating in activities found on this site. Tuesday Evening – Arrive on St Croix. Dinner on the Christiansted Boardwalk enjoying the view. Day 1 (Wednesday) – Hiked down to Jack & Isaacs Bay for the afternoon. This well maintained trail is about a 10 minute hike in and out over a couple of hills. You’ll find the trail head just below Point Udall with several parking spaces. Snorkel and Swim. Carry in/Carry out snorkel gear, water, drinks and snacks and lunch. Dinner: Fresh fish from the market on the grill and local veggies. Day 3 (Friday) – Went West to Frederiksted with a brief stop on the waterfront for coffee and a smoothie at Polly’s at the Pier and a little gift shopping. Headed out to Ham’s Bluff and hiked up to the Lighthouse. Lunch and a quick swim at Rainbow Beach. Dinner & Live music in Christiansted. Day 4 (Saturday) – Drove out to Sandy Point for a few hours to soak in the beauty and relax before getting ready to say goodbye. Lunch with a view at Louie & Nachos next to The Fred. Showered, finished packing and headed to the airport for early evening flight. As you can see we did a lot in four days, including a bit of a driving tour and a few naps along the way. We saved money by having coffee and eating breakfast at home each morning too. Vacationing in the Caribbean is often thought of as pricey resorts lounging in the sun, sand and rum (which are all great!) but there’s also plenty to learn and explore on our emerald jewel in the sea. Bonus: St Croix also have many monthly and yearly Free Community Events to attend. 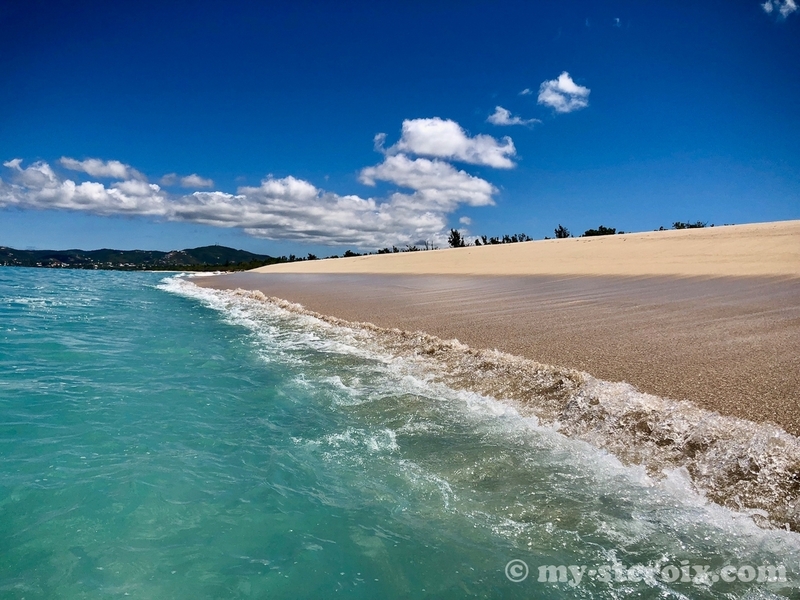 What are your favorite budget-minded things to do on St Croix? What did we miss? We don’t arrive into St. Croix until 8:30 at night. We’ll be staying in a VRBO and heading out early Sunday morning on a fishing adventure. Is there a grocery store close to the airport or on the way from the airport to the north shore, just west of Christeensted? Hi Carole – I recommend stopping at Plaza West Grocery store when you leave the airport. It’s pretty easy to get to. When you come out of the airport, take a left. At the lights, go straight across the Melvin Evans highway. At the next set of lights, take a left onto the Queen Mary Highway aka Centerline Rd. Plaza West will be on your right hand side a couple miles down the road. Have a wonderful trip! !